Responding to the demand of professionalizing the real estate industry in the Philippines, the University of Cebu (UC) offers Bachelor of Science in Real Estate Management (BS REM) and continues to accept incoming college students. The Commission on Higher Education (Ched) gave UC the permit to offer the first two years of the four-year BS REM course in 2012. Now on its second year, UC aims to encourage more students to enroll in the course that provides a solid grasp of the real estate industry and its laws and regulations, as well as trains students the best practices in planning, financing, investment, marketing, and development, among others. Offering the BS REM is also in line with the Republic Act 9646 or the Real Estate Service Act of the Philippines. 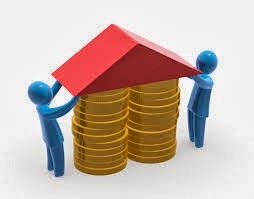 The law provides that the State recognizes the vital role of real estate service practitioners in the social political, economic development and progress of the country by promoting the real estate market, stimulating economic activity and enhancing government income from real property-based transactions. “Hence, it shall develop and nurture through proper and effective regulation and supervision a corps of technically competent, responsible and respected professional real estate service practitioners whose standards of practice and service shall be globally competitive and will promote the growth of the real estate industry,” the law added. The Professional Regulation Commission (PRC) will administer the real estate board exam that graduates are set to take. The three available licenses would be Real Estate Broker, Real Estate Appraiser and Real Estate Consultant. Dr. Alberto Talaid, designated dean of UC College of Real Estate Management, said there is an increasing demand for real estate professionals today, considering that the economy is also dependent in real estate development and infrastructures. “There’s really a lot of opportunities and income in real estate. Career possibilities include real estate brokerage, entrepreneur, management trainee, executive assistance, sales person broker, real estate marketing assistance, and account personnel, among others,” Talaid added. He also said UC has a more affordable tuition than other schools offering the same course. Graduates from any public high school in Cebu City can also enroll in BS REM through the P500 Tuition scheme of the Skolar sa Siyudad sa Sugbo Program. Student can present the P10,000 voucher given out by the Cebu City Government and pay only the P500 enrollment processing fee. The scheme is in line with UC’s commitment to make quality education accessible to the masses. Talaid said BS REM students will also get the chance to work in big real estate companies in the country, especially in Cebu, during the internship year. “To those who are interested to enroll in this course, we assure you that this course has a lot of opportunities to offer. And in choosing your course, plan properly and find your passion because if you are passionate of what you are doing, you will really excel,” said Talaid. There are two or three assets that can encourage you. For instance, U.S. Private company Administration distributes materials about composition business designs. You can discover more with Google! Marbella, Puerto Banus, Golden Mile costa del sol. High quality apartments, penthouses and villas! Real Estate is a Spanish real estate development company. Buy luxurious villas in Marbella and Costa del Sol in Spain. luxury properties in Marbella, Puerto Banús, Costa Del Sol. Valderrama, Finca Cortesín, Sotogrande Golf , Aloha Club, San Roque Club. Keep in mind that numerous littler colleges may not offer majors in certain expert fields, for example, building, business, or exercise based recuperation.best lawyer in isrwel taabura.